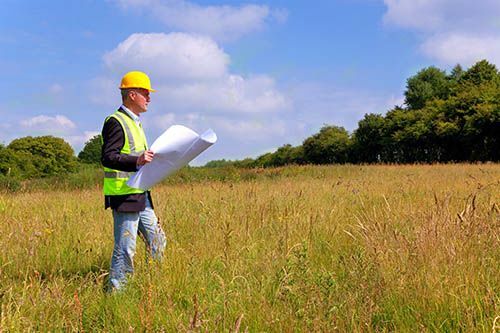 Land use and zoning law is the regulation of the use and development of real estate. Zoning is the most common form of land-use regulation and is used by municipalities to regulate and control local property development. Zoning laws are regulated on both a federal and state level. Local municipalities have specific laws intended to maintain order and efficiency within the municipality. A balance must be preserved with regard to the types of buildings, boundaries, size, number of rooms, the location of utility lines, parking availability and other requirements within a zone. There are 24 municipalities in Sussex County, NJ. Each municipality has its own zoning laws and regulations designed to guide future development. Each municipality follows an individual planning process to create an official map of the municipality. The ordinances are then created to control zoning, subdivision, street plans and other building regulations. Developers and builders must adhere to these zoning regulations in order to achieve permission to build in each municipality. Each municipality takes into account various factors that influence zoning laws. Given the subjective nature of these factors and the restriction on an owner’s rights to use his/her property as they desire, zoning is often controversial and leads to disagreement and in certain cases, litigation. Zoning regulation is permissible if it pertains to reasonable standards such as public health, safety and general welfare. However, zoning regulations can be challenged either through a process of zoning appeals or more serious litigation. These hearings are designed to handle issues that correlate with the complexities of zoning law and requirements that restrict a property owner’s rights. The rationale behind municipal zoning is for the common welfare of the community so most often these challenges are hard to overcome. Given the complexities of zoning regulations, it is essential for a property owner to obtain legal assistance. According to the Sussex County Land Development Standards the Ordinance shall be known as “Sussex County Land Development Standards” and is established for the purpose of establishing and communicating the rules, regulations and standards for site plans and subdivisions and procedures for review of site plans and subdivisions within the County’s jurisdiction to allow land development that is compatible and harmonious with the existing, planned and contemplated infrastructure base of the County and to protect the public health, safety and welfare. Land divided for agricultural purposes where all resulting parcels are 5 acres or larger in size. Consolidation of existing lots by a deed or another recorded instrument. The conveyance of one or more adjoining lots, tracts or parcels of land, owned by the same person or persons and all of which are found and certified by the administrative officer to conform to the requirements of the Municipal development regulations and are shown and designated as separate lots, tracts or parcels on the tax map or atlas of the Municipality. There are many steps to take in order to gain approval including meetings, specific timing regulations, standards, fees and waivers. Whatever zoning issue you need to resolve, a real estate attorney will be able to provide assistance. Our Sussex County, NJ lawyers specialize in land use and zoning law and have experience working with all local municipalities.